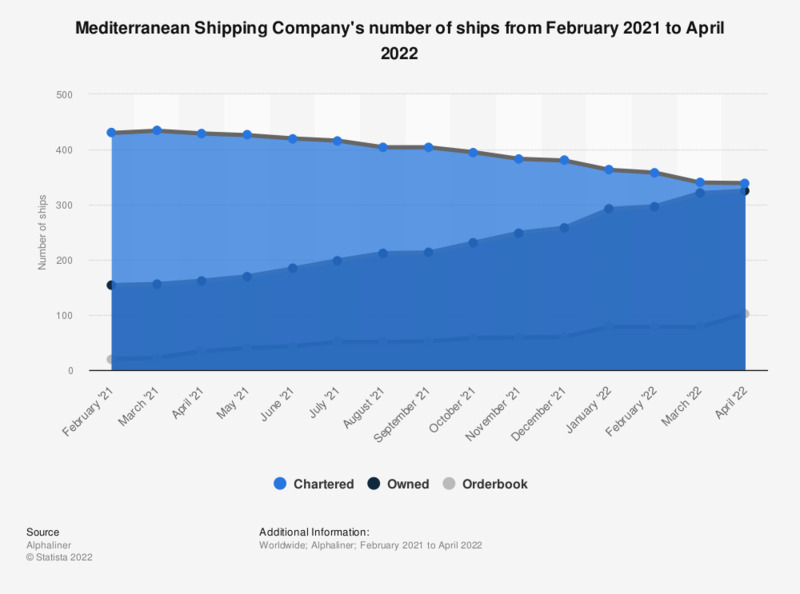 This statistic represents the number of MSC ships as of March 27, 2019. The world's second-largest shipping line with headquarters in Switzerland had 23 ships in its order book. In March 2019, MSC had ships with a total capacity of almost 3.3 million twenty-foot-equivalent units, which could be broken down to some 1.1 million twenty-foot-equivalent units of owned capacity and 2.2 million twenty-foot equivalent units of chartered capacity.